With D vs. B renowned for its production of unique bag models, small leather items and a “Handcrafted in Germany” philosophy that has served it for 75 years, beginning with the production of the finest leather goods for fashion houses and luxury brands, the partnership underscores Brabham Automotive’s commitment to heritage and a pride in premium manufacturing. After the global launch last year of Brabham Automotive’s first product, the BT62, customers will now be able enjoy specially branded industry-leading D vs. B leather products to go with the car when discovering the essence of driving. Each customer will receive leather goods that match the livery of their BT62, together with a matching race suit and race wear accessories. Like the iconic motorsport marque’s focus on designing and producing high performance, convention-defying vehicles, D vs. B is constantly expanding its own product range. This involves combining traditional designs with modern materials and manufacturing processes, most recently via its popular BurnOut Bags. The announcement is the latest in several exciting developments for Brabham Automotive in 2019. Earlier this month it made history when its unrestricted track car, the BT62, set a new unofficial lap record around the iconic Mount Panorama circuit. 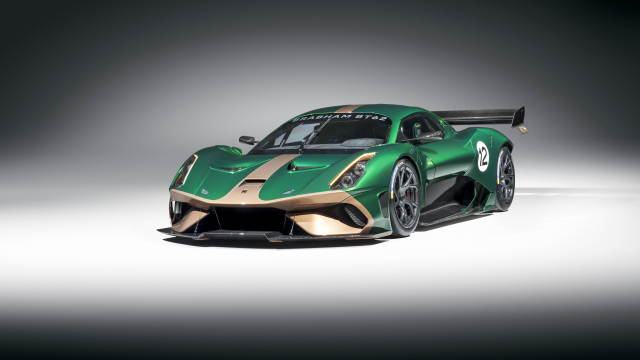 In January Brabham Automotive also announced that it would be returning to motorsport with a factory sports car programme aimed at competing at Le Mans and in the WEC series.